↑ 1.0 1.1 1.2 1.3 1.4 "Mae Young Wrestlingdata profile". Wrestlingdata. สืบค้นเมื่อ January 14, 2018. ↑ 2.0 2.1 "Mae Young". Cagematch. สืบค้นเมื่อ January 14, 2018. ↑ 3.0 3.1 3.2 3.3 "Mae Young". WWE. สืบค้นเมื่อ June 4, 2017. ↑ 4.0 4.1 Scherer, Dave (October 2000). "Life Begins At 77: Mae Young Interview". Wrestling Digest. Archived from the original on 2007-12-09. สืบค้นเมื่อ 2011-09-01. ↑ 5.0 5.1 5.2 5.3 Ryan Nation (March 27, 2008). "HOFer Mae Young vows to keep wrestling". Slam! Wrestling. Canadian Online Explorer. สืบค้นเมื่อ 2008-04-01. ↑ 6.0 6.1 6.2 "Hall of Fame: Mae Young". WWE. March 2008. Archived from the original on 2008-03-27. สืบค้นเมื่อ 2008-04-02. ↑ 7.0 7.1 "PWHF Hall of Famers" (PDF). PWHF. สืบค้นเมื่อ January 13, 2018. ↑ "N.W.A. Florida Women's Title". Puroresu Dojo. สืบค้นเมื่อ 2008-05-13. ↑ "World Women's Tag Team Title". Puroresu Dojo. สืบค้นเมื่อ 2008-05-13. ↑ James, Caldwell (December 13, 2010). "CALDWELL'S WWE RAW RESULTS 12/13: Complete "virtual time" coverage of live three-hour Raw - Slammys edition, TLC PPV hype, Superstar of the Year". Pro Wrestling Torch. สืบค้นเมื่อ June 5, 2017. 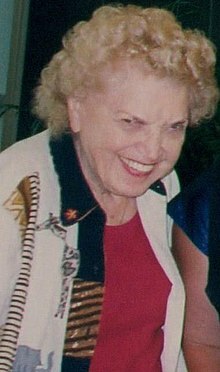 The Great Mae Young (2004). Lipstick & Dynamite - The First Ladies of Wrestling (DVD). Ellison, Lillian (2003). The Fabulous Moolah: First Goddess of the Squared Circle. ReaganBooks. ISBN 978-0-06-001258-8. หน้านี้แก้ไขล่าสุดเมื่อวันที่ 21 มิถุนายน 2561 เวลา 18:57 น.